The NBA announced on Monday that Denver Nuggets forward Paul Millsap was named Western Conference Player of the Week. This was the third time Millsap has won player of the week in his career, and his first time winning it in the Western Conference. 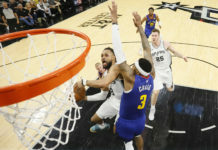 Millsap was rewarded with the honor based off his play in the Nuggets’ two big-time victories over the Los Angeles Lakers and Portland Trail Blazers. In those two wins, Millsap averaged 21 points, 10.5 rebounds, and 2.5 steals per game. Millsap is the second Nuggets player to win player of the week this season; center Nikola Jokic won it after the first week of the year. 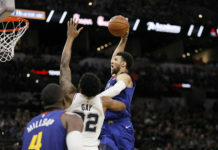 Kawhi Leonard of the Toronto Raports was the Eastern Conference player of the week, which is ironic, considering how he and Millsap are likely to be matched up on Monday night in a battle of two first-place teams. On the season, Millsap is averaging 13.6 points and seven rebounds per game. 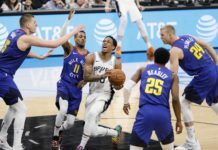 It has not just been his offense that has helped the Nuggets’ success this season; Millsap is also averaging 1.5 steals and 1.2 blocks per game. 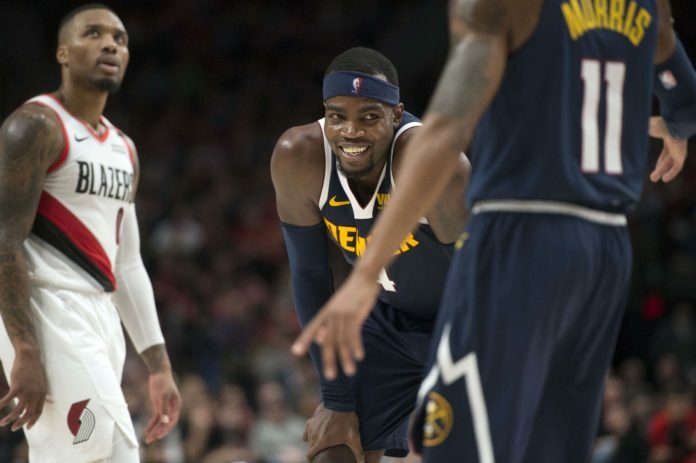 Millsap’s ability to have a positive impact on both ends of the floor has been big for the Nuggets so far this season, and the player of the week award is a solid reward for his tremendous play.